Cressida has been agoraphobic for years, but she has her safe place in her house and she’s been taking baby steps venturing outside the house in a friend’s RV. The only problem is that the landlord wants to sell the house and unless Cressida and her sisters can come up with the money fast, they will have to move. Cressida will have to brave leaving the house in order to save it. She thinks she knows where she can find a hidden treasure that one of her favorite authors left as a treat to his fans. Now all Cressida needs is someone to drive her and the RV across several states to find this treasure. Noah has been a fan of Cressida and the treasure hunt for years. He spends his free time looking for the treasure. All that money could fund schooling for him to be a doctor and take some of the pressure off his hard-working immigrant mother. Nobody has gotten closer to finding the treasure than Cressida. Noah has always wanted to meet her but never took action until the son of the famous author threatens to report Noah’s mother to ICE. Noah will put everything aside to save his mother and will say anything and do anything to get Cressida to help him find the treasure. They plan to split it 50/50, but with both keeping secrets from the other, their tenuous trust might not last long enough to see the payout. Every time I read a book by Yardley, I seem to finish the book in one sitting and wish that I had more of her books to read. 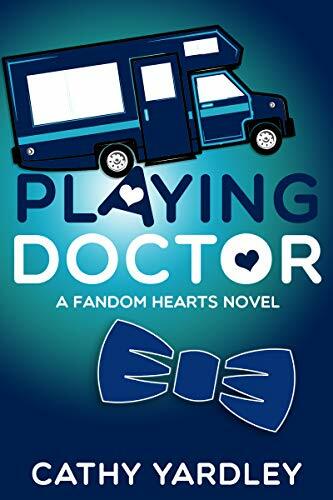 The Fandom Hearts series is especially a series I love to read because it’s set locally, the characters are full of personality, and the stories are larger than life. I loved Cressida’s story in this book, as well as Noah’s story. They are both diverse characters. Cressida is agoraphobic and Noah is the son of an immigrant. I loved that I got to see the difficulties that mental illness and immigration play in this story. I think Yardley did justice to her characters and their backgrounds. The treasure hunt aspect gave me Déjà vu. Was I reading about Ready, Player, One’s author Ernest Cline and his treasure hunt for the DeLorean? I laughed when Yardley mentioned this specific treasure hunt in the book. The story was captivating, the characters were delightfully diverse and developed, and the writing style was flawless. I can’t wait for the next Fandom Hearts book if there is one! This novel was published by RYW Publishing on 01/27/2019 and is available on Amazon here.